Area : 3,07,713 sq km. Languages : Marathi, Hindi & English. Temperature : Max 35°C. in Summer.Min 16°C in Winter. Located in the western part of India. “It is surrounded by the Madhya Pradesh in the east, Arabian sea in the west, Gujarat on the north, and Karnataka & Andhra Pradesh in the south.” The megalithic culture is developed in this region between 1000 BC and 500 BC. In 640-641 BC, the Chinese traveller Hiun Tsang visited this region. The first great ruler of Marathas, Shivaji ruled the region successfully. In the struggle for independence of India, Maharashtra played a major role and became the center of most of the revolutionary activities at that time. Varied custom traditions co-exist peacefully in Maharashtra. Splendid view of maharashtra beaches, mountains, forests makes the place attractive to the tourists. Majority of the forests are located in the eastern regions of the state. Five national parks, three game reserves, and 24 wildlife/bird sanctuaries of the state are the home of some endangered animals and rare species of flora. Quiet, peacefull and breathtakingly beautiful view of western ghat mountains (some at an altitude of 2000 mt.) attracts millions of people to enjoy the place every year. Air: There are five domestic and one international airport (Mumbai) in Maharashtra. Regular flight services are available from different domestic places as well as the important international destinations. Rail: Mumbai Major Railhead are connected with most of the important places in India as well as many important tourist spots in the state. Road: Maharashtra is connected by road with all-major states in India through NH nos. 3, 6, 8, 9, 17, 50 & 211. Travel Spot: Ajanta, Khandala, Mahabaleshwar, Ponohgani, Aurangabad, Lonavala, Mumbai, Pune, Ellora, Sanjay Gandhi National Park. 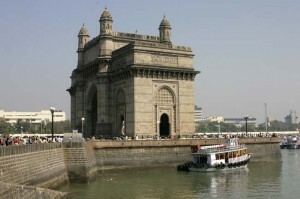 This entry was posted in Maharashtra and tagged maharashtra tour, maharashtra tourist attractions, Map Of Maharashtra. Bookmark the permalink.